Weerawat has joined SAU as a member of university council. He has currently worked as corporate’s advisor for many well-known retail property developing companies. 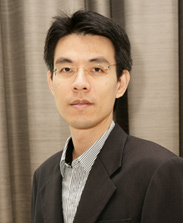 Prior his advisor, he was founded comsaving.com, one of the first leading IT’s b2b website in Thailand since 2000. He also had his extensive experiences in strategic consulting from Booz Allen, a leading strategic consulting company in the world and marketing expertise from P&G, a world consumer products company. He has completed his Master Degree of Business Administration from Kellogg, Northwestern University concentrates in Marketing Strategy and Finance and his Bachelor Degree in Engineering from Chulalongkorn University.